Check out the new Spring Issue of Glamoholic which features an amazing new photo-shoot with Cher Lloyd! Available now from the magazine’s website! 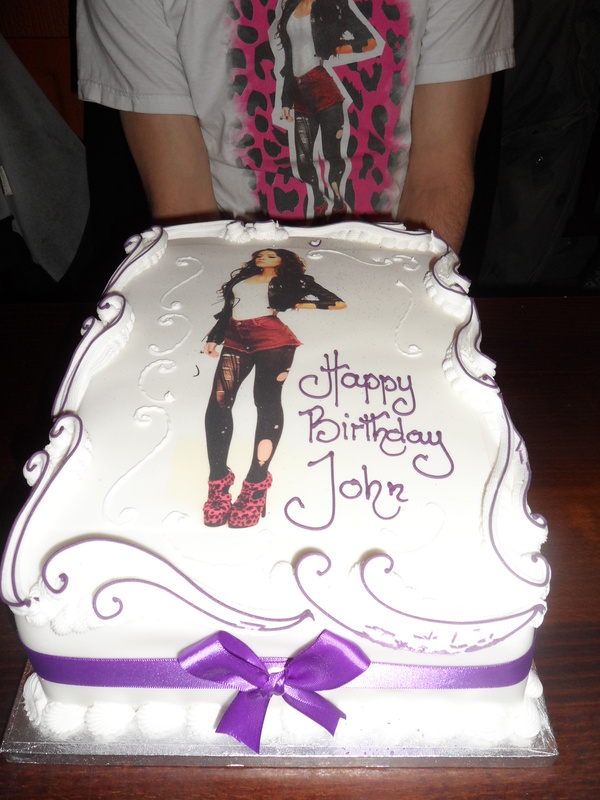 So still been built – this is my blog dedicated to British Pop Star Cher Lloyd… created 30/12/12 … and I’m slowly getting my content on here! So what is the aim of my blog? Well, it’s really a combination of two of my favourite things: First and foremost it’s about my favourite artist Cher Lloyd whom I greatly respect and admire as an accomplished singer, songwriter, artist and also for her sassy and sharp fashion style. Second, I love to write so for me it makes perfect sense to bring the two things together and write [blog] about Cher Lloyd! My aim is to make this blog both informative and fun. The perspective is very much from a fan’s point of view as that is what I am (a superbrat!) – and it will centre around Cher’s musical output and live performances. So eventually, when I have it all written up the blog will talk about Cher’s singles, album and collaborations amongst other things. Plus as I was lucky enough to see Cher Lloyd live 10 times in 2012 it’ll be fun to talk about those gigs too! These comprise dates on the ‘Sticks + Stones’ tour in English cities Birmingham, Nottingham, Swindon and London, and also Cher’s UK festival dates at ‘Tea in the Park’, ‘Wireless’, ‘Guilfest’, ‘V’ in the Midlands and ‘V’ in Essex and a gig in a seaside town. All were a great privilege to be at! I very much hope you like reading my blog about Cher Lloyd!!! 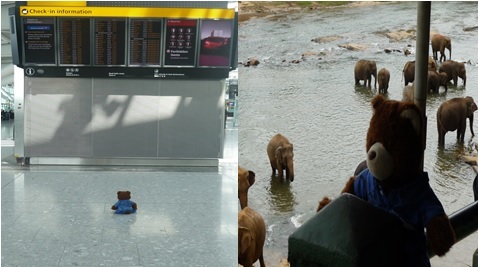 … taking photos of ted at Heathrow checking flights & also at the Pinnewala Elephant Orphanage in Sri Lanka! In contrast what I consider my long-term work is a novel set in mid-1990’s England. This involves the main characters already caught in a love triangle becoming embroiled in a sinister subplot – eek! But it’s taking me ages to write – so who knows – perhaps one day I’ll finish it!? And btw ! Here is the cake I had for my recent Birthday from bf and bff! I was sooooooooooooooo happy when I saw it and it looked so fab with purple firework lit and been whisked through the restaurant! So I really do hope you like my blog about Cher Lloyd!!! There’s widgets and links etc at the bottom of the pages to access and browse different areas of the site – reviews, news, photos and videos etc – and please, I need comments so do add some – thank you very much! Not counting pictures and scans my blog contains photographs that I have taken and videos I have filmed and made. And as regards these of course, I don’t mind if they are shared amongst other Cher Lloyd fans so all other brats, please save and share as you please. If you want to publish them it would be nice if you could ask me first and the only 2 rules I really have are that a) that my pictures are never sold and b) please retain my www.myblogaboutcherlloyd.com identifier on them if you can. Otherwise, I’ll git ya! Ha ha! * My own photographs are Copyright 201* JP. For information regarding record sales I use Wikipedia for my source data.